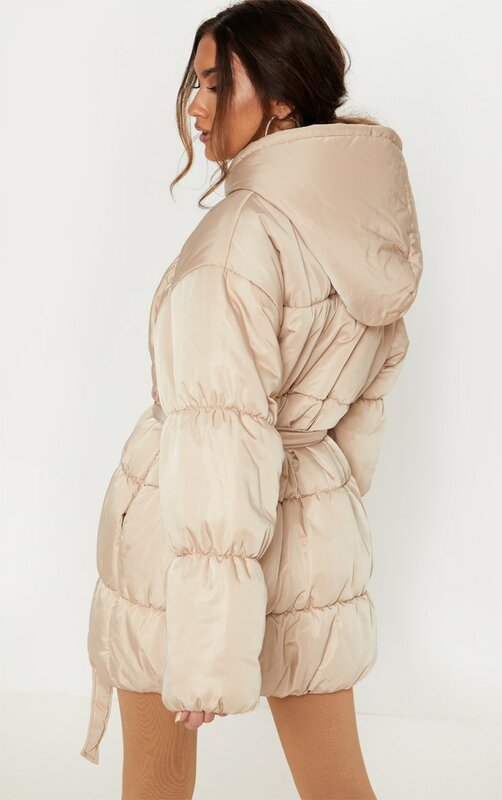 We are obsessing over this puffer jacket for the winter months girl. 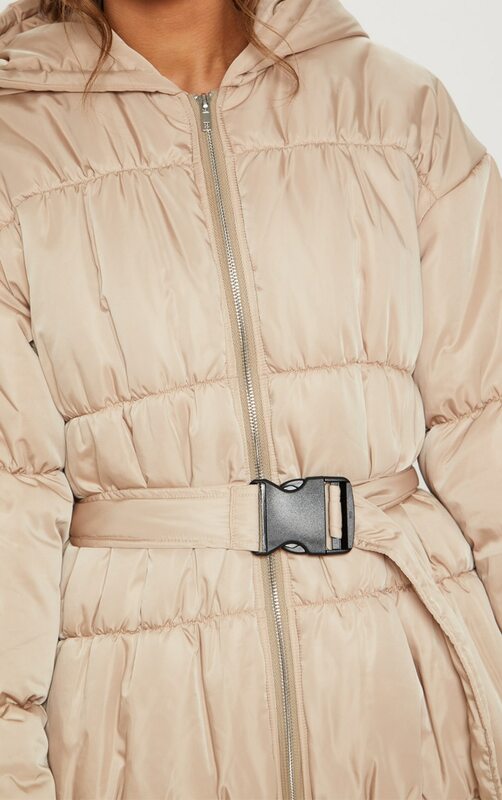 Featuring a stone material with a cinching elasticated buckle belt and a zip fastening. 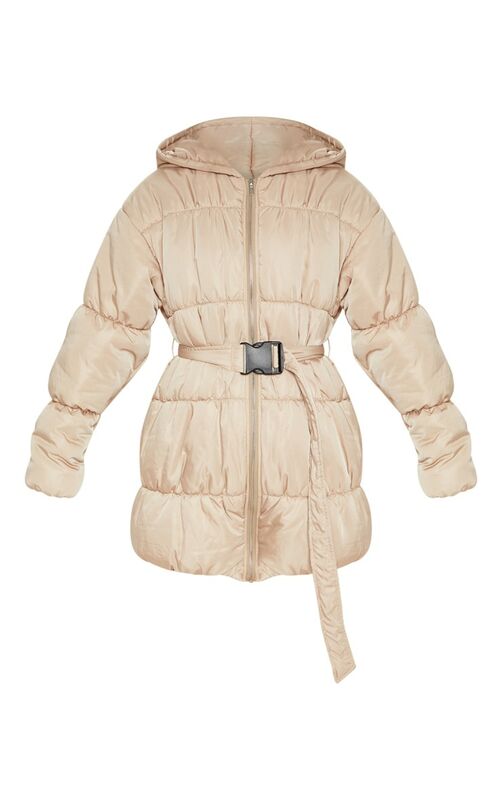 Team this coat with any day or night look for a look we are crushin' on.